2. 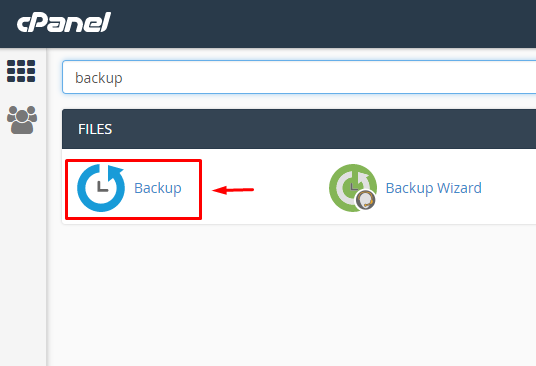 Under Full Backup, click "Download a Full Website Backup". 3. 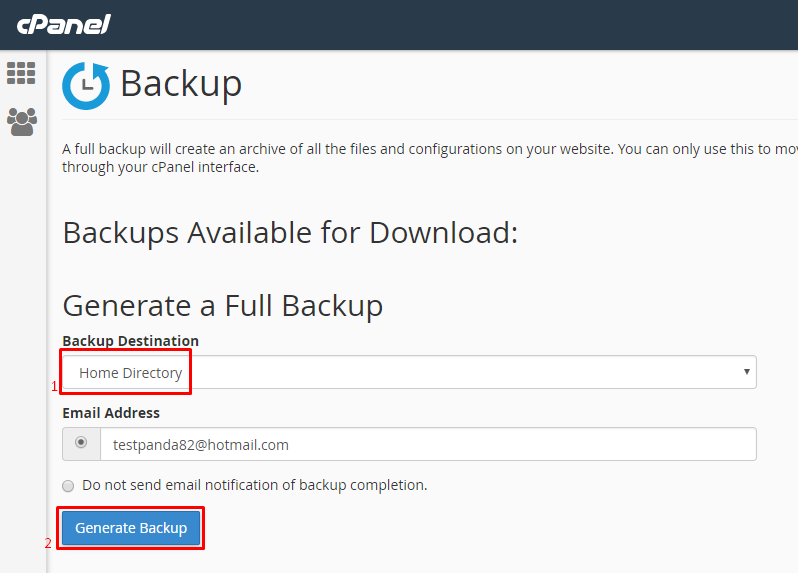 On the next page, select the Home Directory option from the Backup Destination drop-down menu. Note: This will generate the back up for you and place the tar.gz file inside of your home directory. 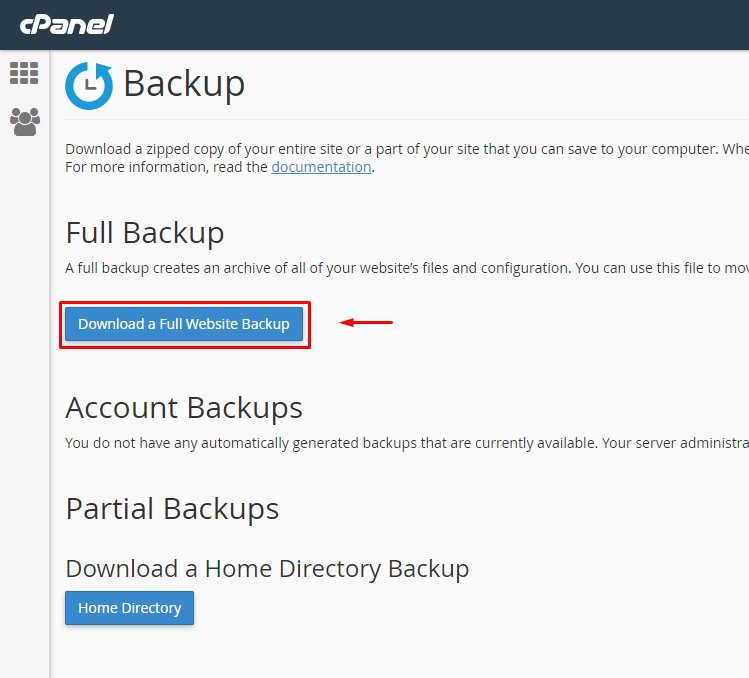 You can then download the backup via cPanel or FTP. 3. Under Backups Available for Download, click the link for the backup file you wish to download.